Green Farm products are a "free from" ideal economic range featuring alternative, gentle, cleansing actives and tensides without SLS and SLES which are disapproved by many yet they are still the back bone of the toiletry industry. Shower gels by Green Farm are packed with different herbs or spices, they use essential oils for fragrance and food grade colours to give some zip to the bath shelf. 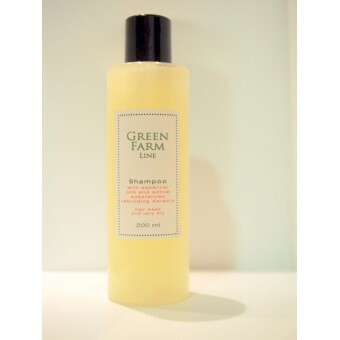 Shampoos are similarly hair kind and gentle and are particularly aimed at weak and very dry hair. They provide essential oils and active substances with rebuilding Keratrix which protects, repairs, moisturises and significantly improves the appearance and condition of hair.